On December 22, 1991, a 36-inch-diameter auxiliary circulating water pipe failed at the Perry Nuclear Power Plant northeast of Cleveland, Ohio. The failure occurred in a section of piping located in the yard just before it enters a plant building. The piping originated in the pump house on the shores of Lake Erie. Nearly three million gallons of water from Lake Erie poured from the broken pipe before workers turned off the pumps. The water flooded the grounds outside the plant and flowed through manholes into underground vaults routing electrical cables to equipment in the auxiliary building, the heater bay building, the service water pump house, and the emergency service water (ESW) pump house. Water flowed through the cable conduits into the ESW pump house and ran down a cable into a motor control center (MCC). An MCC functions like a fuse box in a home, with electrical breakers instead of fuses for individual power circuits spreading out from that location. The incoming water caused a short circuit that disabled a space heater transformer. The MCC also contained controls for safety-related equipment in the plant. Fortunately these missed being damaged by the water. Less than two years later, there was a second attempt by Lake Erie to reclaim Perry. On March 26, 1993, a 30-inch-diameter fiberglass pipe buried about 13 feet underground carrying lake water between the ESW pump house and the turbine building failed. Water flowing from the broken pipe forced its way up through asphalt-covered ground. Water flooded the western end of the plant site. Water flowed into nearby plant buildings, flooding some to a depth of 6 to 8 inches before workers stopped the flood after 16 minutes by turning off the ESW pumps. The Perry nuclear plant is affectionately known as the “mistake by the lake.” These events nearly turned it into the mistake in the lake. The circulating water system is not an emergency system at Perry. It supports day-to-day operation of the plant and is not relied on during an emergency. Consequently, the circulating water system is not purchased, installed, tested, and inspected to the high standards required for emergency equipment. Yet the failure of equipment meeting lower standards – at best – can disable or threaten the performance of emergency equipment. 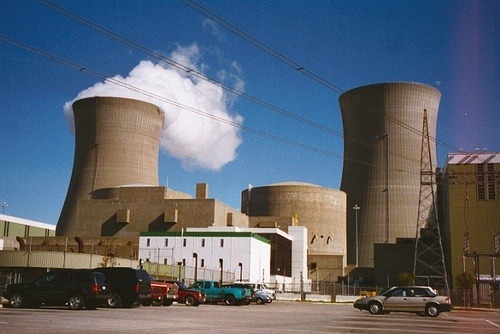 The March 1979 partial meltdown at Three Mile Island began when non-emergency equipment in its condensate system failed, causing an automatic shut down of the reactor. On twelve prior reactor shut downs caused by condensate system failures, the emergency systems saved the day. On this 13th time, the emergency systems came up empty. Lower standards can be a safety trap. When one aims high and misses, that outcome may still be okay. When one aims low and misses, it’s more likely to result in headaches – and headlines.